Is it Time to Repair or Replace your Roof? Warning: The topics covered on this site include activities in which there exists the potential for serious injury or death. ContractorTalk.com DOES NOT guarantee the accuracy or completeness of any information contained on this site. Always use proper safety precaution and reference reliable outside sources before attempting any construction or remodeling task! If you're the owner, lead based paint doesn't matter. Owner' and their children can be poisoned, and the owner could contaminate neighboring property if they do not handle the paint and siding properly. If the owner rents it, many more disclosure and handling issues are present. Plus, the value is affected. Trade: I'll do that for 500 bucks. All that is well and good, but in the real world, it doesn't matter. If HO's start getting sued by their neighbors, it may start making a difference, but I haven't seen that happen much if ever. Your emergency does not constitute a problem with my Constitution. Lead paint. Delicious but deadly. Red gum or another eucalyptus would be a candidate for the mantle wood. Park View is one of Portsmouth's unappreciated treasures. As to Churchland, way back when, it was Norfolk County, and then Chesapeake (for a time) and now Portsmouth. Back in the day, when you crossed the Churchland bridge, you were in a whole different world! The "Churchland Truckers" got their name from the fact that originally, most of Churchland was comprised of "Truck Farms." Still beating that "mi casa, su casa toxic" drum? I posted these photos because most folks here *love* and appreciate the craftsmanship of these old houses. Fortunately, you and your fear-breeding ilk are in the minority. Why is it every post I see from you basically says that old things are bad and that guys like you are here to save the world from all kinds of toxic stuff? I know that in California, everything is known to cause cancer. You come off as sounding like a self important little man that thinks he known more than anyone else. I'm not surprised though since that's the same feeling I've got from every abatement guy I've ever met. In the words of General James Mattis: "Be polite, be professional, but have a plan to kill everybody you meet." Captain Howdy: We must all go through a rite of passage, and it must be physical, it must be painful, and it must leave a mark. Last edited by Dustincoc; 03-08-2014 at 08:23 AM. I know that in California, everything is known to cause cancer. 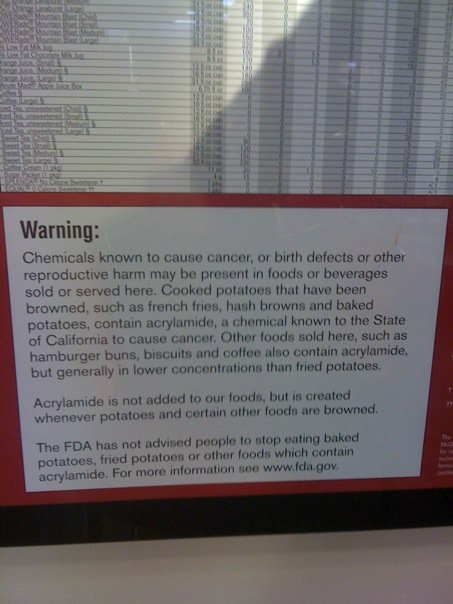 We have signs up in McDonald's warning us about their fries. Trade: Excavation, Foundation, Professional Painter! Thanks for the thread Rose. Ignore the alarmist. We love your threads here. Not a PSA, but a Penn and Teller video about a woman who gathered signatures on a petition to ban dihydrogen monoxide. "Excessive exposure can cause excessive urination, indigestion, vomiting, etc. It's everywhere. We really need to ban it." She gathered hundreds of signatures. Set it Right! I don't want to fix it later..
Dustin, I think that may be the post of the year You hit the nail on the head – be careful though Hitarms will creep-up behind you. I love what I do and I'm very good at it! awesome home. my grandad had a lot of old prints and paper work of homes he did back in the 1900s that were given to me after he passed away i lost them when my home burned down in 1983 it was a good way to pass time looking at them. Thanks Rose, - - many of us always appreciate your pics and posts, - - and pay little or no heed to alarmist ankle-biters like whatzhizname . . .